At the meeting of the Batemans Bay Marine Park and the Clyde River National Park, Batemans Bay is a place of junctions, both constructed and natural. We framed the future development of this town as the meeting of these two edges; one blue, the other green. 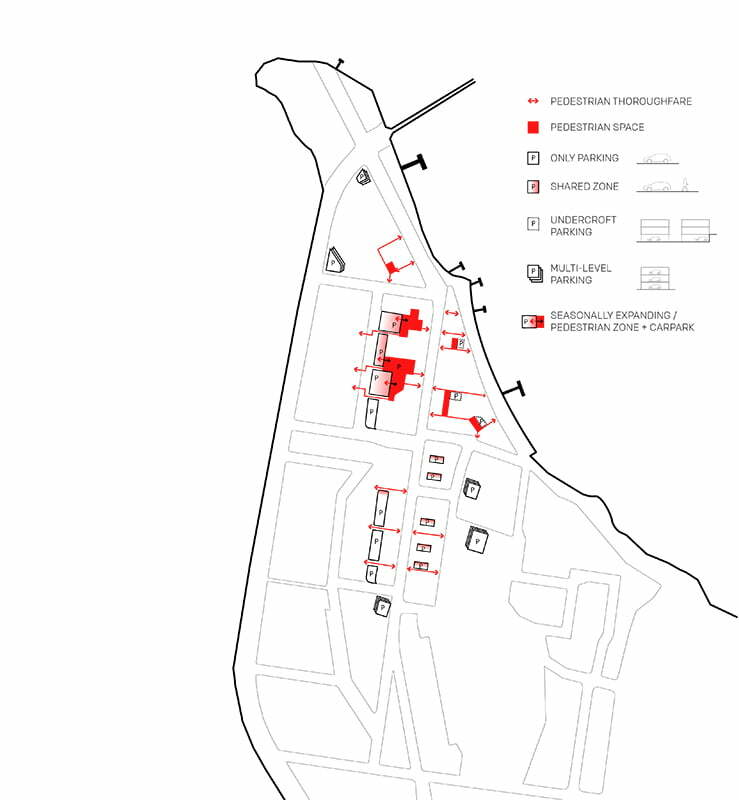 Workshop Architecture and Xpace were engaged by Eurobodalla Shire Council to provide a review of current development controls for the town centre of Bateman’s Bay. 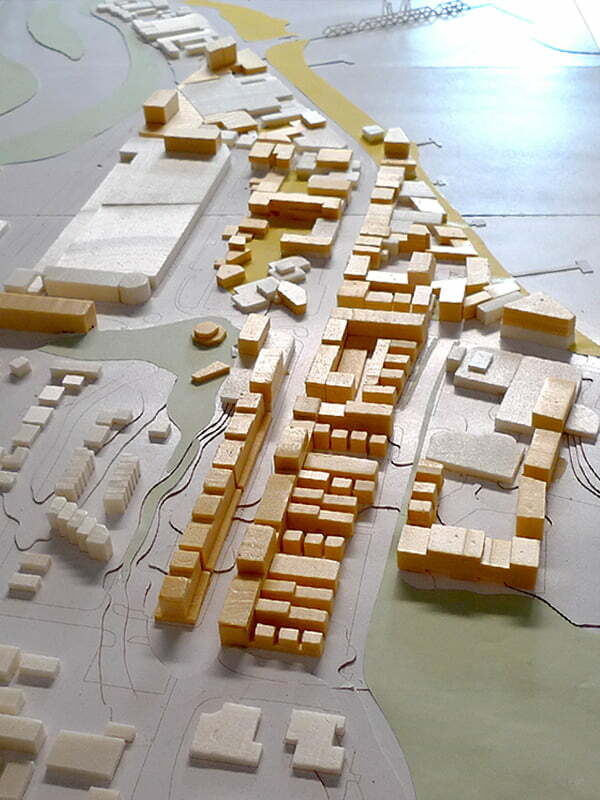 From this review, new controls were recommended in response to an overall vision for the future of the town centre. 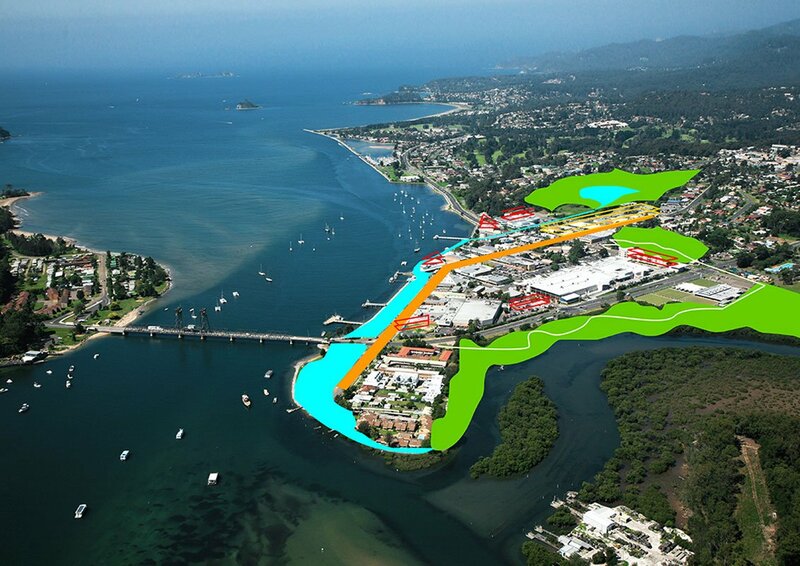 Our vision for Batemans Bay is based on maximizing the strong natural features of the town, while also considering the future threats this connection to natural environments poses. 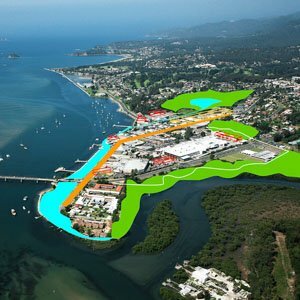 Our approach to the future urban form of Batemans Bay was based on five concepts. A Blue Edge: The waterfront as the site of a future entertainment and short stay accommodation precinct, integrating these needs with the future coastal protection of Batemans Bay. 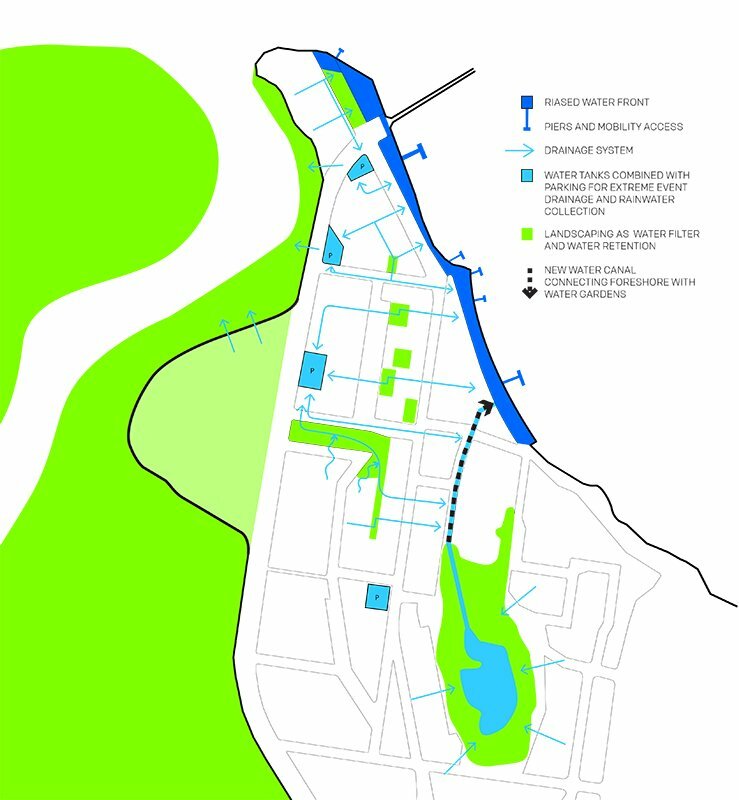 A Green Edge: The current town centre integrates successfully to the waterfront (the Blue Edge), but the other edge – its unique wetlands – is less present in the everyday character of the town. 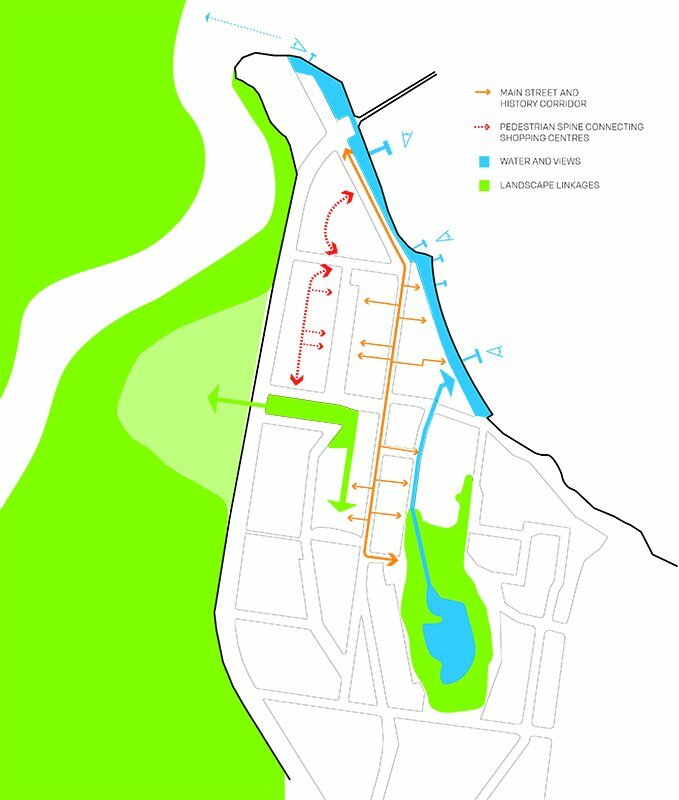 Our recommendations expand the future built form and public space of Batemans Bay to acknowledge this green edge, and draw it into the centre of the town. 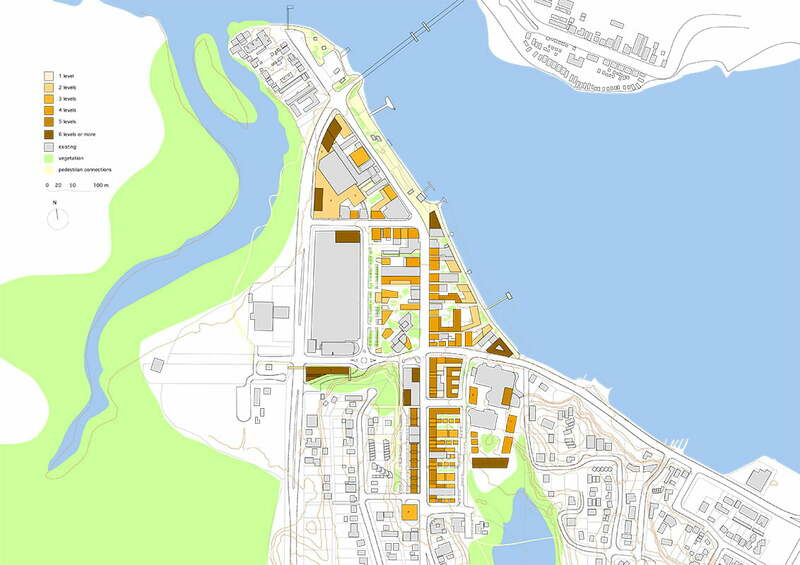 Watergardens Neighbourhood: Another of Batemans Bay’s underused natural assets is its souther Watergardens and our vision sees this as the central amenity of a new multi-use neighbourhood adjacent to the current town centre. 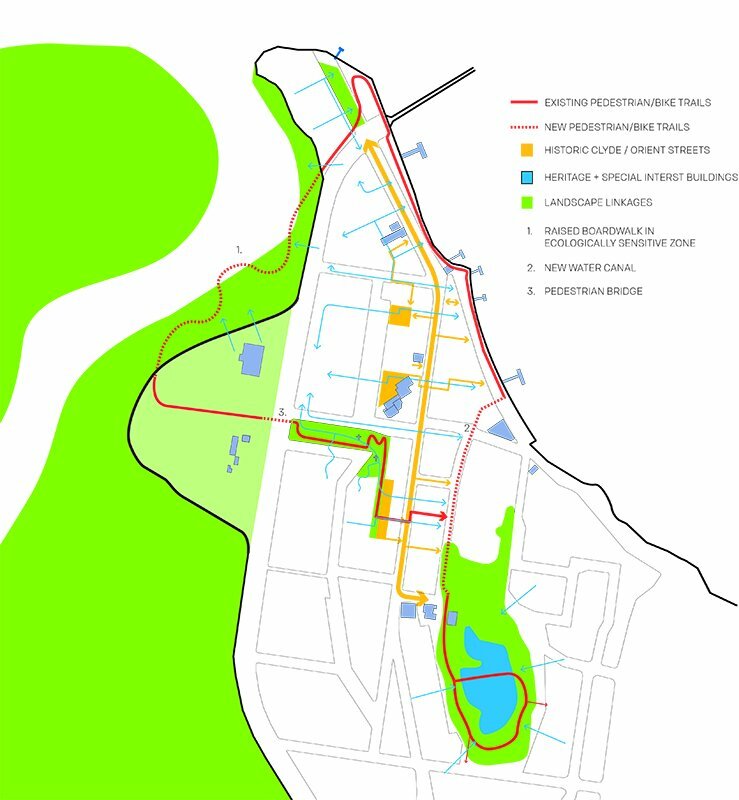 Clyde – Orient St Axis: The medium to high density Watergardens Neighbourhood extends the axis of the towns main streets- Clyde and Orient Streets, -linking the smaller retail sites of the existing town centre to larger ones lying further south. 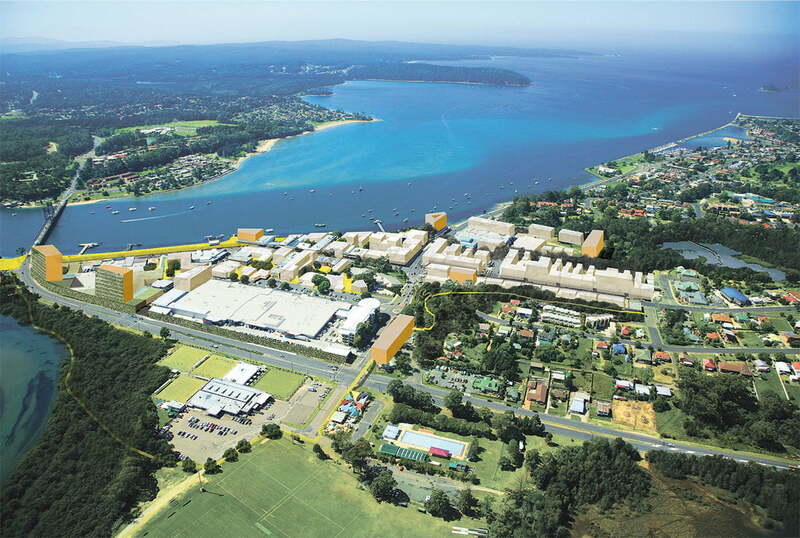 Landmark Sites: Alongside revised heights across the town are locations that can become the landmark buildings of Batemans Bay. Visually supporting the iconic bridge, they would provide visual markers to the edges of town and its precincts, as well as densities of accommodation and commercial activities at strategically important locations, such as at the northern entry to the town. 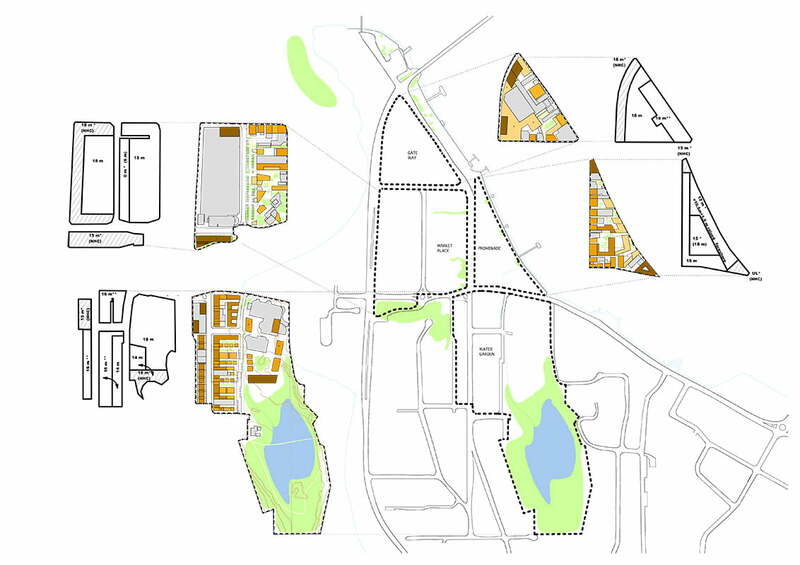 Key, ‘Landmark’; sites to be allowed to go to a greater height in exchange for design quality and infrastructure outcomes.